July 1st is not only Canada Day, but its free agency day in the NBA and NHL and what a day it’s been for major moves. 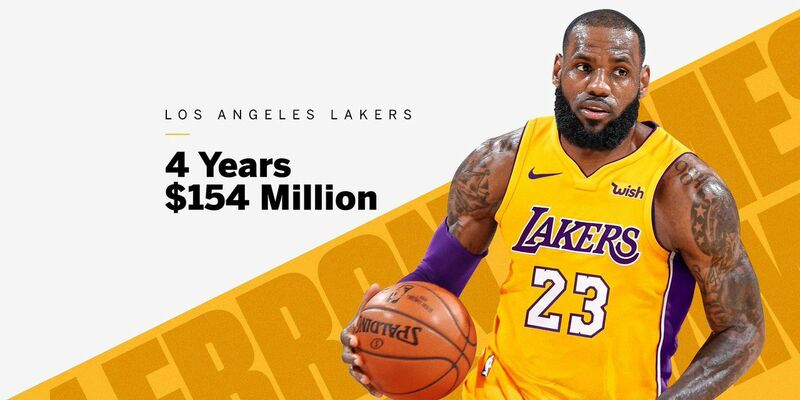 On the hockey front, the Toronto Maple Leafs invested $77 million for seven years of the native 27-year-old centreman John Tavares, but in the NBA, the Los Angeles Lakers are making damn sure they don’t miss out on another playoff appearance. The Lakers put Thomas Bryant on waivers, signed guard Malik Newman to a two-way contract, and signed center Moritz Wagner, the 25th overall pick from the 2018 NBA Draft. The move for LeBron (which we can call “The Decision 3” do the publicity around his team choices) comes after a crushing NBA Finals defeat for his home team, the Cleveland Cavaliers, against the Golden State Warriors. LeBron joins Brandon Ingram, Lonzo Ball and Kyle Kuzma and LA still has cap room to make another move. But what we’re all really wondering about is when we’re going to hear more about Space Jam 2, which was reportedly going to get its first trailer released by LeBron James during all the hype via his own Instagram TV app. This is all just business and publicity, after all. This is the 3rd time LeBron James has changed teams after a top-3 MVP finish. It’s happened 3 other times in NBA history, once by Moses Malone, Wilt Chamberlain and Lenny Wilkens. There’s been over $1 billion spent in the NBA today.